Zeus has punished his son Apollo—god of the sun, music, archery, poetry, and more—by casting him down to earth in the form of a gawky, acne-covered sixteen-year-old mortal named Lester. 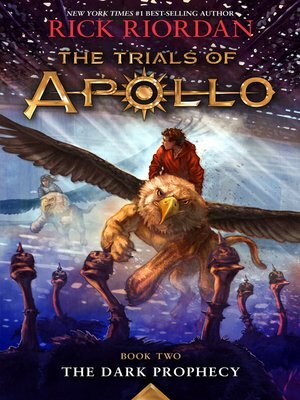 The only way Apollo can reclaim his rightful place on Mount Olympus is by restoring several Oracles that have gone dark. What is affecting the Oracles, and how can Apollo/Lester do anything about them without his powers? After experiencing a series of dangerous—and frankly, humiliating—trials at Camp Half-Blood, Lester must now leave the relative safety of the demigod training ground and embark on a hair-raising journey across North America. Fortunately, what he lacks in godly graces he's gaining in new friendships—with heroes who will be very familiar to fans of the Percy Jackson and the Olympians and Heroes of Olympus series. Come along for what promises to be a harrowing, hilarious, and haiku-filled ride. . . .